While Apple's fledgling Passbook has yet to reach full stride, currently only offering support for a handful of apps, Ameranth last week lodged a complaint against Apple claiming infringement of four patents, one of which was cited as prior art in an iPhone property which listed late Apple cofounder Steve Jobs as an inventor. 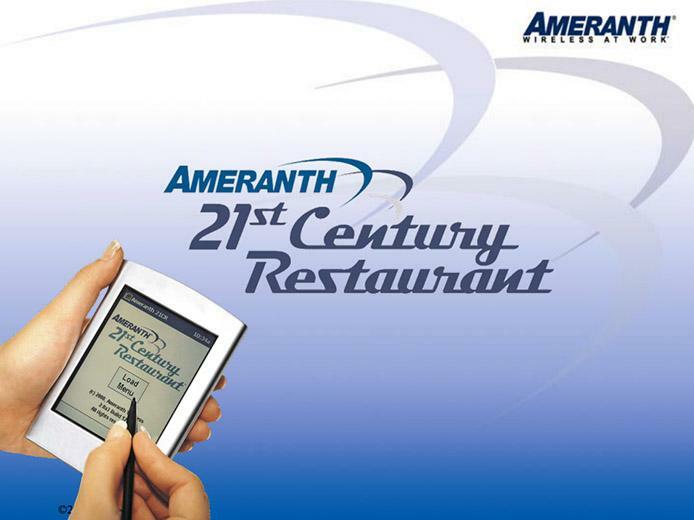 Licensing its products under the "21st Century Communications" and "21st Century Restaurant" names, Ameranth manufactures and sells hospitality, entertainment, restaurant and food service IT solutions to a broad list of clients. According to the complaint filed in the U.S. District Court for the Southern District of California, the Delaware corporation operating out of San Diego is asserting its "Information Management and Synchronous Communications" patent family, which the company claims "has been widely recognized as visionary." Some 14 frims have already licensed patents in the portfolio and Ameranth has been aggressively pursuing legal action against big-name companies like Hilton, Marriott and Hyatt, for alleged infringement of the wireless synchronization patents. At issue is Passbook's ability to download and store airline boarding passes, hotel reservations, movie tickets and other digital passes on an iPhone or iPod touch. While the synchronization of pass data appears to be covered by Ameranth's patents, the unique barcode-based redemption system is not mentioned in the suit or corresponding IP language. U.S. Patent No. 6,384,850 for "Information management and synchronous communications system with menu generation"
U.S. Patent No. 6,871,325 and U.S. Patent No. 6,982,733, both continuations of the '850 patent. U.S. Patent No. 8,146,077, a continuation of the '850 and '733 patents. 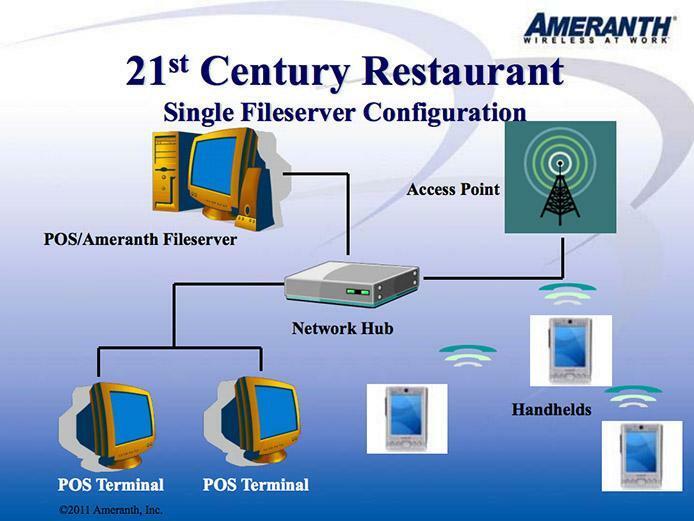 Illustration of Ameranth's 21st Century Restaurant system. It seems the four-patent portfolio was developed to be used by restaurant workers as point of sale, menu generation and gift card processing systems, among other hospitality-centric operations, not the broader client-based Apple Passbook. However, the granted IP is worded such that a court may find infringement, meaning Apple could be forced to settle or go through with a trial. Ameranth claims Apple is well aware of the patent family as three of the properties listed above have been asserted in a number of suits against the Cupertino company's business partners, like OpenTable, Ticketmaster and Fandango, all of which are supported by Passbook. Due to Apple's alleged "willful infringement," Ameranth is seeking triple damages, attorney and court fees and "further relief that [the] Court may deem just and proper."